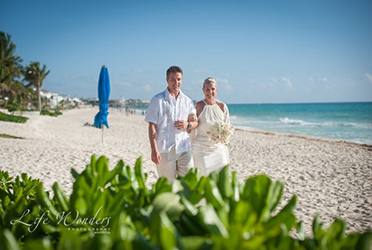 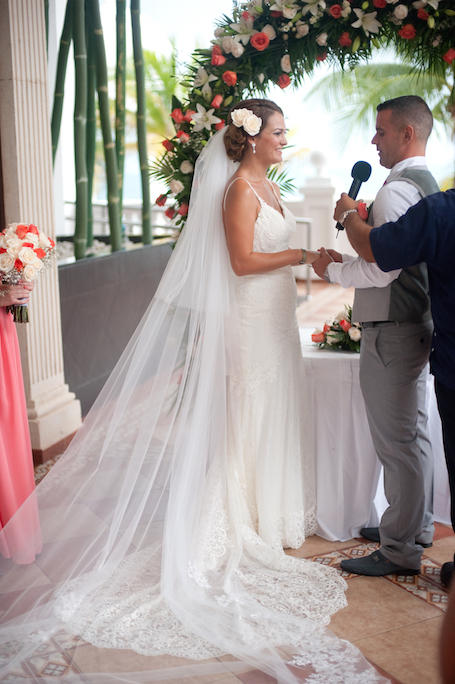 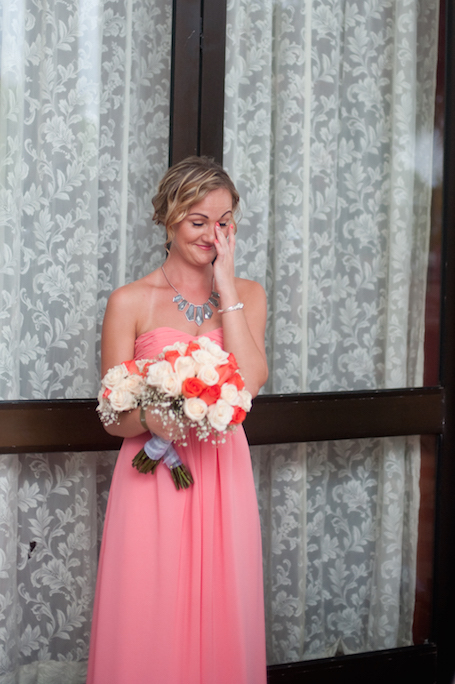 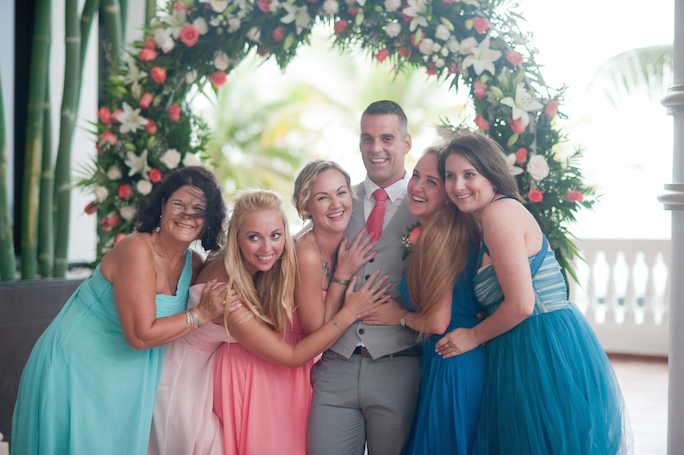 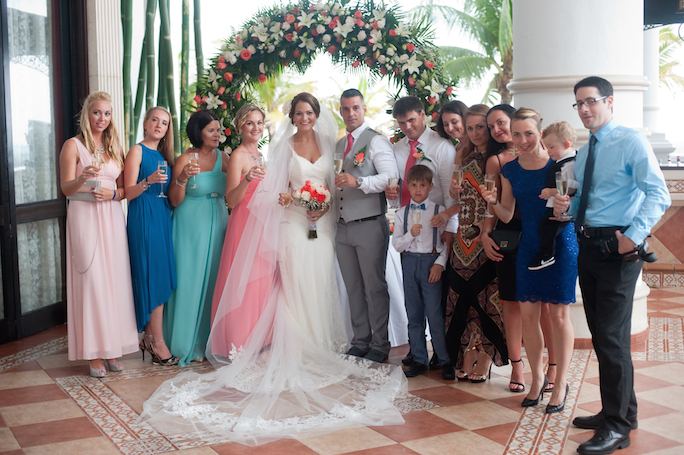 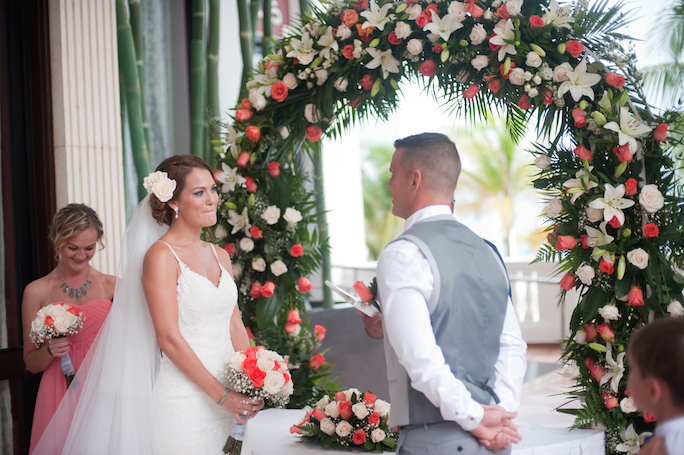 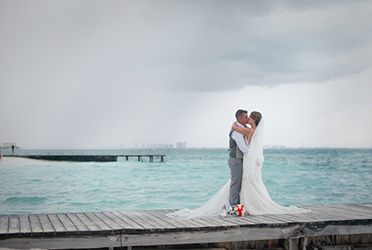 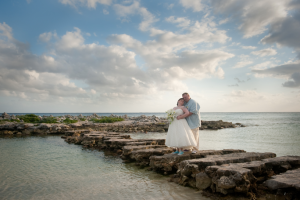 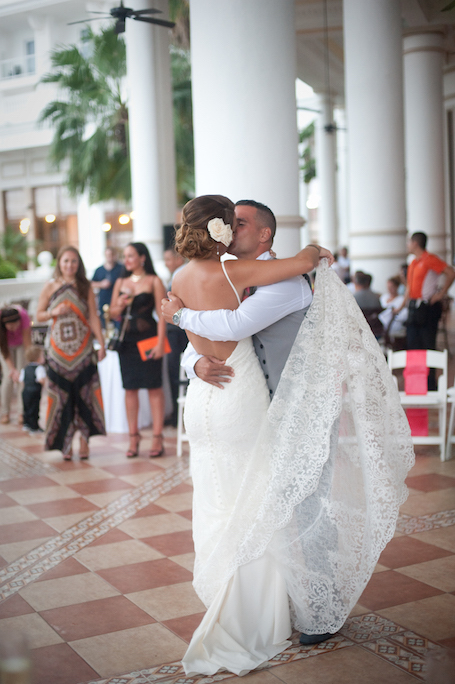 This is Dana and Vlad’s Riu Cancun wedding ceremony photographs in the beautiful Riu Palace Resort in Cancun. 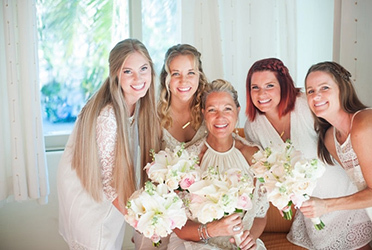 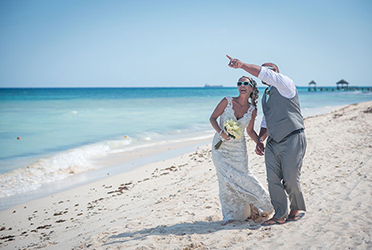 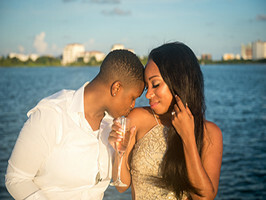 The moment has come for Dana & Vlad to exchange their vows in front of their closest family and friends who came to this beach wedding in Riu Palace – Cancun, Mexico from different parts of the world. 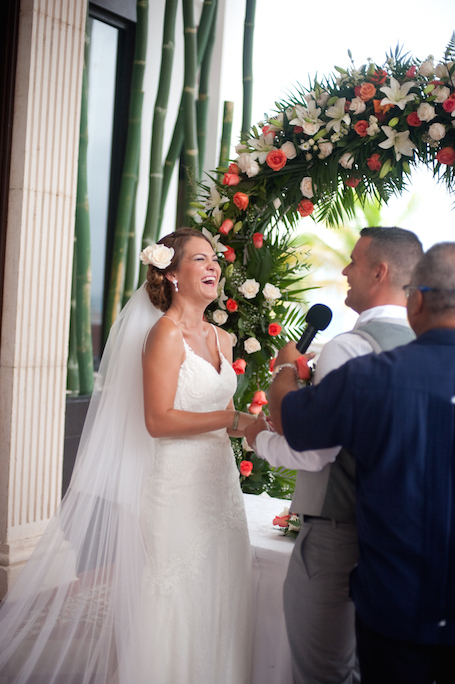 Dana is led to her groom by her brother. 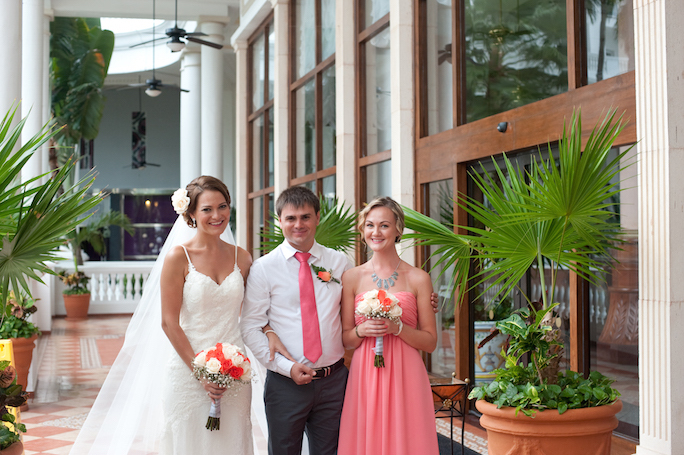 The guests are joyously awaiting that special moment to be witness to this beautiful couple exchanging their vows. 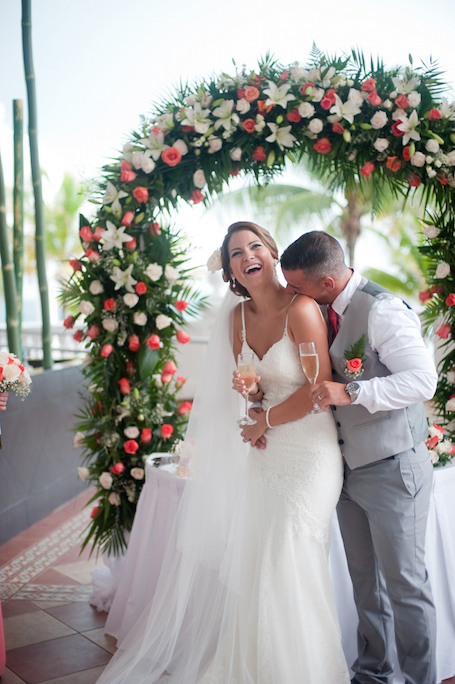 The wedding ceremony is wonderful, interlaced by humor and laughter. 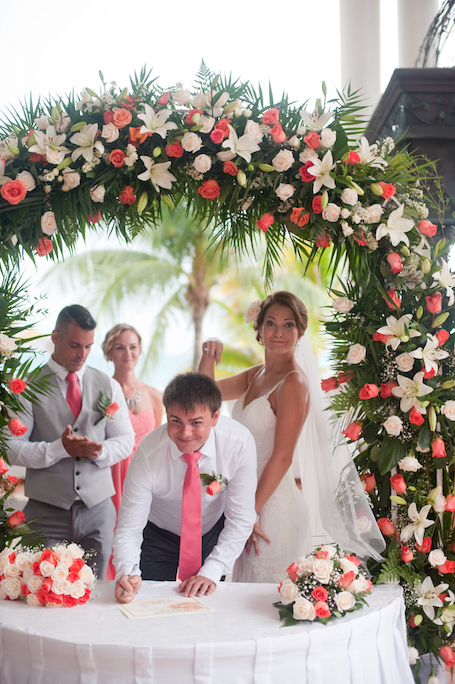 The officiant is doing a wonderful job at keeping things light and yet festive. 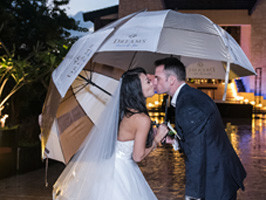 After the matrimonial kiss, the end of the ceremony is announced and the beginning of their new stage in life as husband and wife begins for Dana and Vlad. 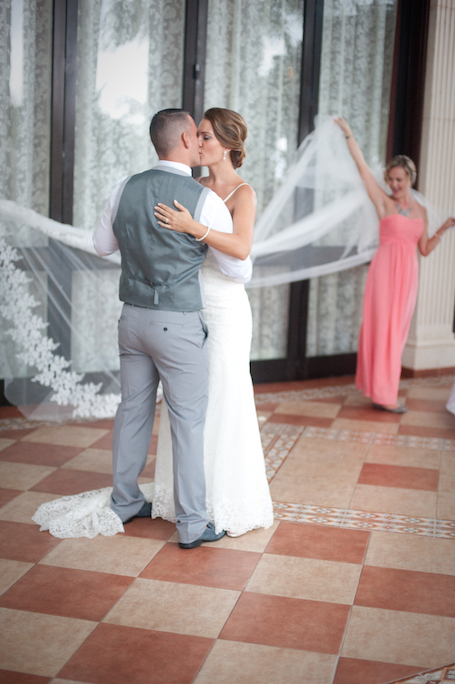 All guests close in on the newlywed couple to congratulate them exchanging lots of hugs and kisses! 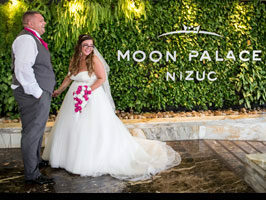 With the clink of champagne glasses everyone smiles for the classic group photo with the bride and groom followed by the first dance of the couple. 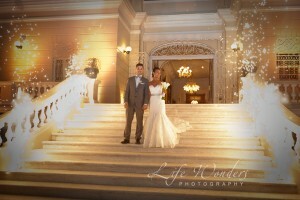 It was such a memorable night.